Craft Beer Pricing By Beer Store? American craft beer prices is the one constant that Rich and I discuss when getting together. I have also brought up American craft beer prices on the blog before (hard to believe it has been that long). For some five years or more it seems to me that the local beer store chain charges more for all their beers than any of the other stores. I am not talking a quarter or fifty cents more, but typically couple of bucks more on bombers over $10 and the same for six packs. Their prices are more on par (and sometimes still higher) with the Mom-and-Pop one-off beer stores. I went to high school and college. I had to take the introductory level macro- and micro-economics classes. I thought I understood the basics of supply, demand, buying power, etc. Logic suggests that the large chain should buy cheaper, passing along those savings as lower prices to consumers. Why should my bottle/can of beer cost 20, 30% or more at the chain than other stores? Greed and lack of respect for the consumer (and, from talking to employees, lack of respect for them as well). Recently my wife stopped at a beer store in southern Indiana. She purchased a couple of beers that I could get locally. The bomber was $8.48 for FFF. I pay $10 or $11 at the chain (I don’t anymore as it is too expensive). The other thing: if you buy six or more bombers, you get a 10% discount on purchases. Go figure: buy in bulk, save money. Unfortunately, said chain is the only decent American craft beer store within 60 minutes. I home brew more than I buy and, when I buy, I buy reluctantly, choosing do it yourself six packs for $10 (still over priced). Enjoy! Useless Fact: 51% of people think stormy weather affects cloud computing. Posted in Beer, Lounge | Comments Off on Craft Beer Pricing By Beer Store? When I home brewed Pot Licker Milk Stout this last time, I made several changes over previous batches. 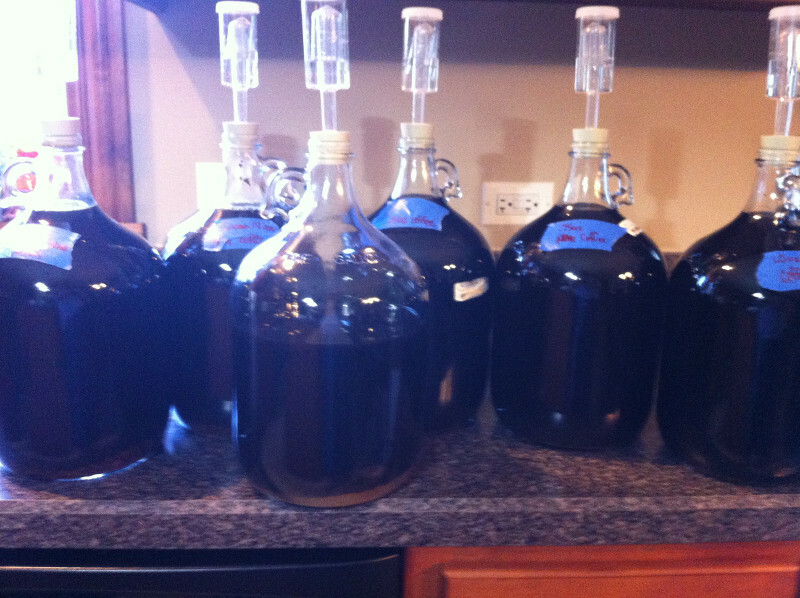 I have been excited to bottle this batch in order to experience how the beer would change. 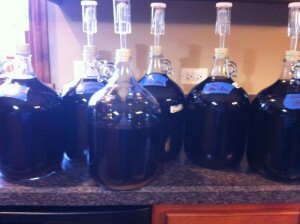 Bottling day was four days after splitting up the 6.0 gallon batch into six, 1-gallon experiments (used loosely). 1.0 gallon on 1.20 ounces of cocoa nibs. 1.0 gallon on 1.20 ounces of cocoa nibs and 0.4 ounces of a ground coffee blend *. 1.0 gallon on 0.50 ounces of a ground coffee blend *. 1.0 gallon on 0.75 ounces of a ground coffee blend *. 1.0 gallon on 1.00 ounce of a ground coffee blend *. 0.5 gallons left over with nothing added: the control. * Coffee had been ground, steeped in cold water for 12 hours. The water was added to the gallon jug by pouring through another coffee filter inside of a funnel, attempting to keep the grounds out of the gallon jug. I tasted each blend as bottle size left me a good 8 ounces of each beer blend at the end. The straight beer seemed to have too much residual sweetness. Thinking it could be the new yeast and/or the higher mash temperature. Carbonation and time might change my perception. The cocoa infused versions definitely were lacking cocoa. Lastly, the more coffee the version had, the happier the senses. Three weeks should be a good time to do a side-by-side. Looking forward to the tasting. Enjoy! You are currently browsing the Sips blog archives for May, 2015.